Vista A/C Mini-Storage is conveniently located on the second floor of the Shoppes at Vista del Lago in Kissimmee, Florida. 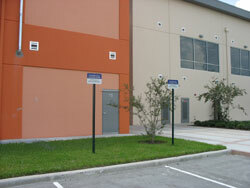 When visiting our facility, you may park in the front or rear of the building. 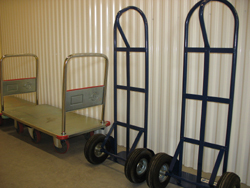 For added convenience, the storage facility has reserved parking in the rear of the building, adjacent to ramps and the breezeway that leads to the central elevator. 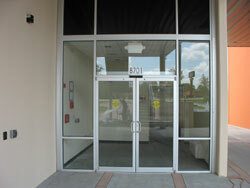 Approaching the front doors you will notice an access pad and push button. During business hours, simply press the button for both doors to open. After hours, enter your pin code and press the button to set the doors in motion. Take time to notice the security cameras in the lobby area. 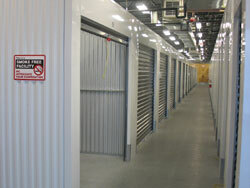 The entire facility, inside and out is covered by recorded security cameras for the protection of your valuables. Inside you’ll notice hand-trucks and flat carts for your use. The entire space is well lit with wide aisles and corners to make moving your possessions easier.